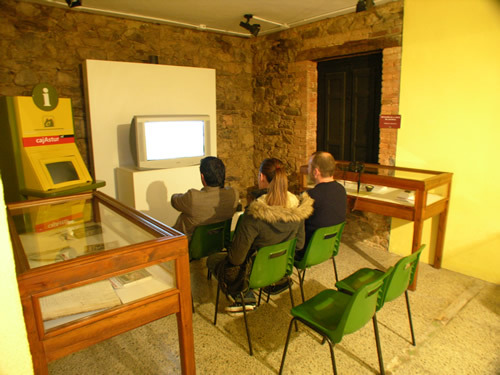 The museum is located in La Foz de Morcín, 15 km south of Oviedo. It takes place at 1990 within the organizing committee of the Quesu d'Afuega'l Pitu Contest. In 1993 the City Council of Morcín and the Brotherhood of La Probe create the Friends of the Cheese Association, which initiates the search and recovery of pieces, and develops an important research work. Since its creation, it has promoted traveling exhibitions in Asturias and organized two annual exhibitions: one in January, for the celebration of the Contest of the Quesu d'Afuega l'Pitu, and another one in September, during the Craft Cheese Fair of Asturias. Nowadays, the Asturian milk It is one of the most valued and consumed in Spain. Historically, the Principality's dairy products have grown in prestige. The pastures of the region, the growing implantation of cattle in its geography throughout the twentieth century, and all know-how in the hamlets, have achieved in the end a milk of excellent quality, considered one of the best in Europe . 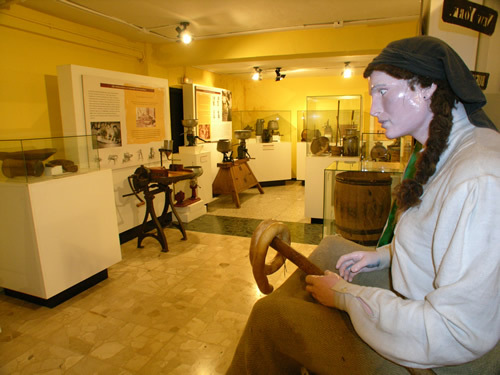 The Ethnographic Museum of Dairy located in Morcín, not only does an exhaustive review of the milk industry associated with the Frisian race, but also the milk mixture, which in Asturias is a sign of quality. It also illustrates this center with rural philosophy, always in tune with the rational use of natural resources. 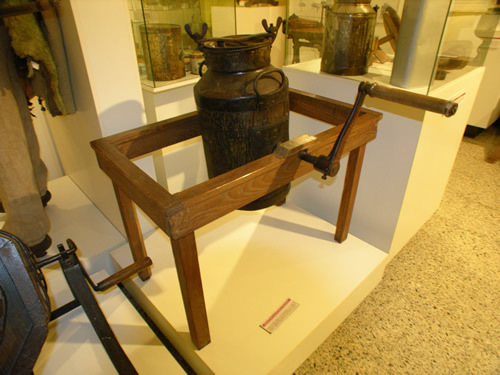 In this museum we will discover that the milk in Asturias also belongs to flocks of goats and sheep, and that not only liquid is consumed, dairy products like butter and cheese, they occupied and occupy a role perhaps more protagonist than milk itself. 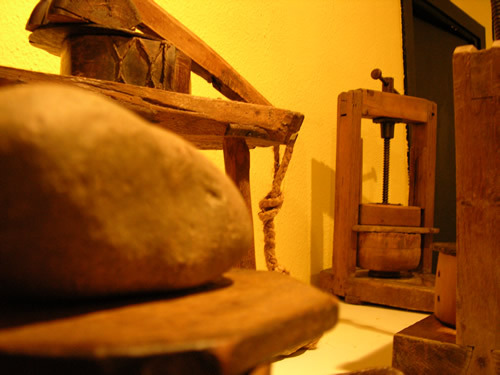 The museum, belonging to the network of ethnographic museums of Asturias, is inaugurated at 1993 in order to collect, study and make known the different aspects of the traditional science and technology of milk and its derivatives, as well as the traditional agricultural customs and uses. 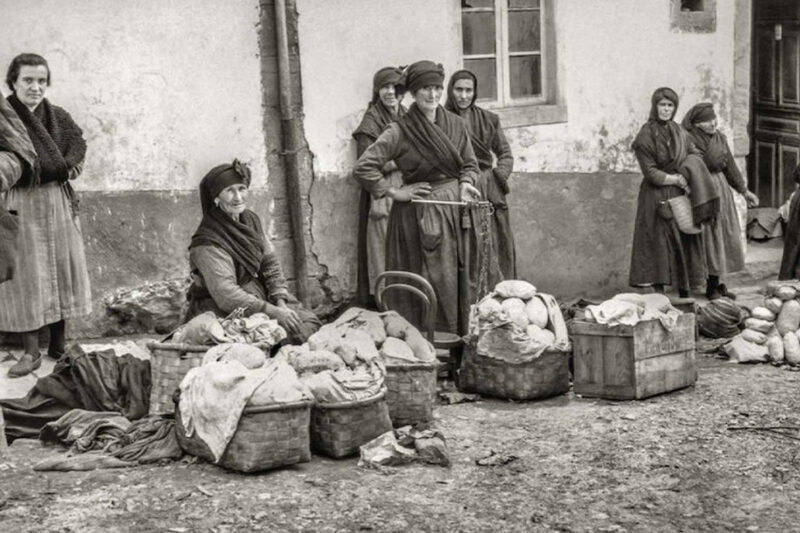 The museum collection consists of more than five hundred pieces acquired, mostly, in several Asturian councils and distributed in four sections: livestock, milk, butter and cheese. 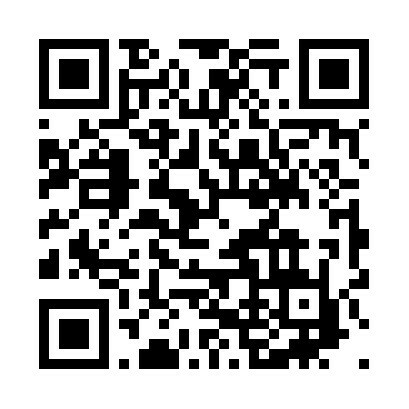 In addition, it has an audiovisual room, a specialized library and a documentary archive. The visit begins with an exhibition dedicated to Livestock and grazing, producer of the raw material to transform: milk. 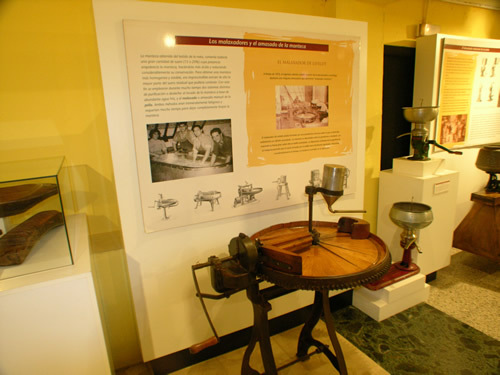 Continue with the methods used for the traditional preparation of lard, the utensils used and their evolution, the various types of gadgets to skim milk and form the butter, as well as the sale in the markets and also their export. 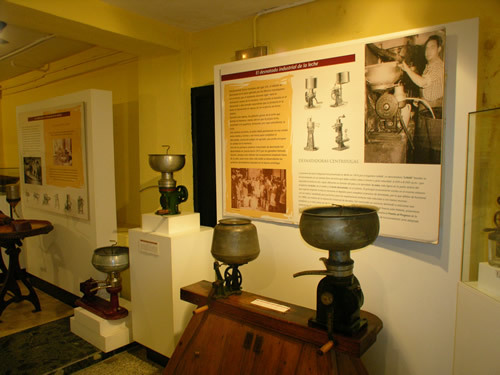 A good collection of butter churns, skins, bins and firing machines is presented here to "mazar" the butter, as well as several centrifugal skimmers and mixing tools. A blue cheese ripening cave is also reproduced, with some tools and materials typical of this activity. Como the cuayu or the rennet for milk: before, taken from the stomach of the piglet animal. 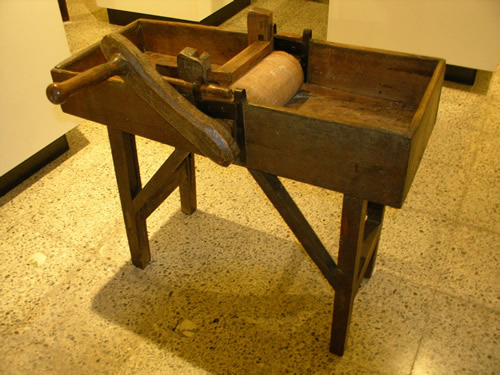 The arnios: the cylindrical rings, of wood, leather, barks ..., to drain the quesu. The boot: the leather container (corderu, cabritu ...) that is used in some areas for smoked cheese over the fire during the winter, as in the council of Quirós. The butía: special milk for milk and butter; with a small tube through which the dibura (skimmed milk) will come out. 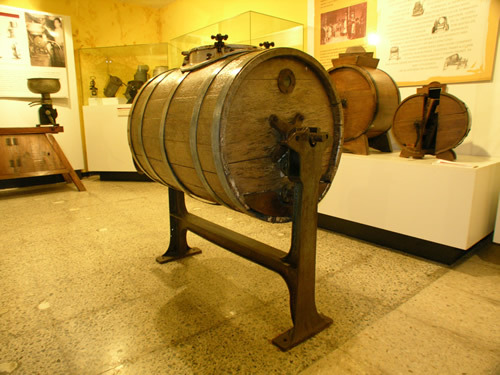 The frieras: small hollows, caves, topsails, between the rocks, where the milk was put to cool in the brañas; places where there is usually an air current, which look north and are in the shade. Mazar: beat the cream until the butter is separated until it "axuntes", and let go of the "dibura". And endless terms that take us to an ethnographic knowledge in its purest form and take us into one of the richest rural cultures in the country. The council of Morcín is located in the central Asturian mountain and is part of the protected landscape of the Sierra del Aramo. The Foz de Morcín is located at 15 kilometers from Oviedo, at the 5 Km of the As-231 that starts from the N-630 road. 2 replies to "Dairy Museum"
We went to see him this past week. You see in ten minutes and they charged us more than they publish. A real disappointment, we feel cheated. 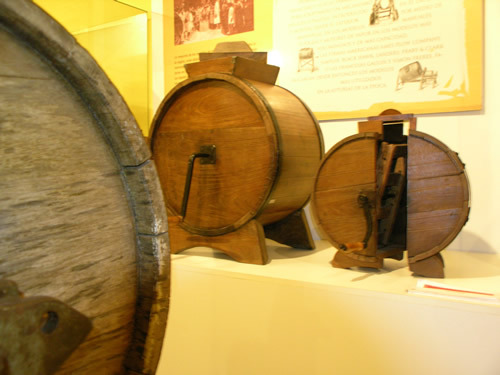 Go to see the cider museum in Nava, it is nice to see.